The ultimate in versatility. An inch/metric tool variety for servicing foreign and domestic equipment; Wing pallets hold metric tools, and are quickly detached at the hinge, eliminating 5 lbs. Note: The JTK-88SP winged pallets are not detachable. 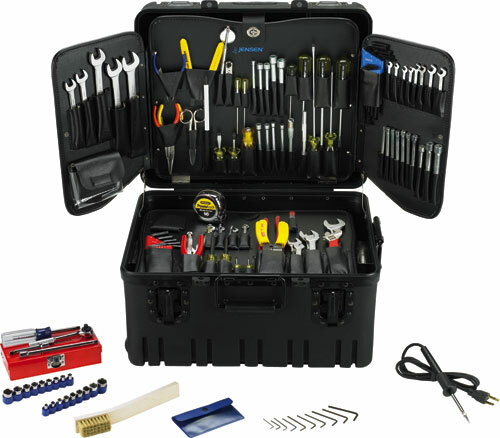 Click the button below to add the Jensen Tools JTK-88SP Inch/MM Electro Mechanical Kit Roto Rugged Wheeled HD Military Case to your wish list.